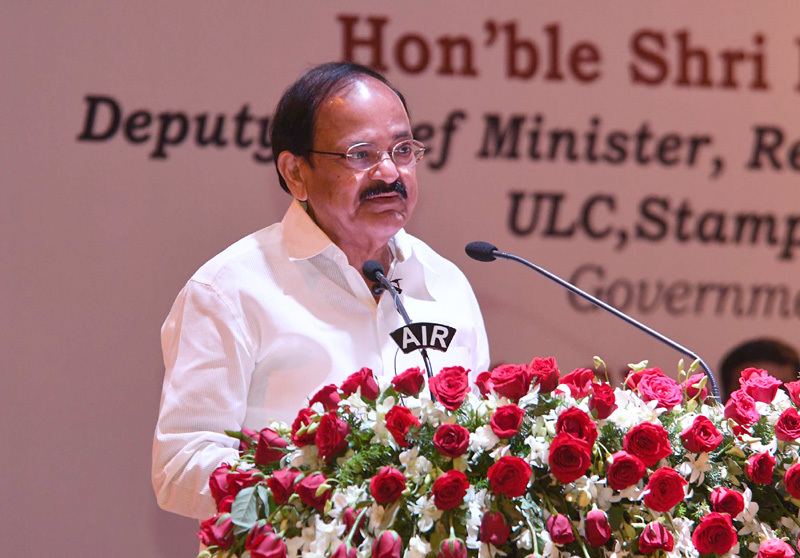 The Vice President, Shri M. Venkaiah Naidu addressing the 78th Session of Institute of International Law, at NALSAR University of Law, in Hyderabad on September 03, 2017. New Delhi: The Vice President of India, Shri M. Venkaiah Naidu has greeted the people on the auspicious occasion of National Teachers’ Day. In a message, he said that 5th September is observed as National Teachers’ Day to commemorate the birthday of India’s second President Dr. Sarvepalli Radhakrishnan. Teachers are the real nation builders as they shape the future of every child and mould him/her into a responsible citizen, he added. “I extend my warm greetings and good wishes to the people of our country on the occasion of National Teachers’ Day. Every year 5th September is observed as National Teachers’ Day to commemorate the birthday of India’s second President Dr. Sarvepalli Radhakrishnan, an educationist and scholar par excellence. Teachers are the real nation builders as they shape the future of every child and mould him/her into a responsible citizen. In our country, Teachers’ Day is a special day and thousands of teachers are honoured and felicitated on this occasion for the invaluable services rendered by them.